Trigo Vision, an AI startup founded by former members of the Israeli army’s special forces and intelligence community, just came out of stealth mode with a target in its sights: Amazon’s Go store. When Amazon opened its cashier-less store in Seattle earlier this year, it was hailed as the future of brick-and-mortar shops. But, so far, there’s just the one. And even if the company follows through on plans to open half a dozen more, the locations will be little more than a novelty. There are more than 150,000 convenience stores and 40,000 grocery markets in the US alone. Amazon may have enough money to build sophisticated storefronts full of expensive hardware from the ground up with no regard for profits – the marketing alone is worth it for the juggernaut worth $900 billion – but most other retail chains don’t. And mom-and-pop stores definitely can’t afford millions in R&D and installation costs. Luckily, they don’t have to. Trigo Vision’s AI is designed to augment existing retail spaces. 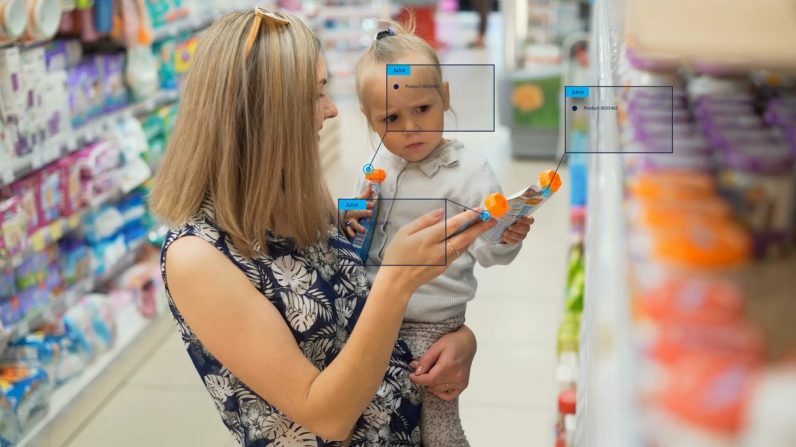 Through the use of regular cameras and advanced proprietary algorithms it’s able to accurately track shoppers and products in a way that facilitates cashier-free shopping experiences that, theoretically, could work in almost any retail environment. The idea is to create a system that shopkeepers can integrate into their stores with minimal fuss. With Trigo Vision’s, there’s no need to rearrange products, spend days entering codes, or install sensors all over the place. The benefits for shoppers go beyond the cool factor of skipping the long process of individually scanning each item to determine your total before paying. Depending on the retailer, customers will either confirm their purchases at kiosks positioned by exits, or simply log in with an app when they walk in, grab what they want, and then walk right out the front door letting the computers handle payment. But, Trigo Vision is still perfecting its mix. Earlier this week it came out of stealth after successfully securing over $7 million during its first round of financing. Despite being a relative newcomer to the scene, however, its AI is already showing promise in tests with multiple clients. We spoke with CEO Michael Gabay and COO Jenya Beilin who told us they’ve been developing the idea for years, even before Amazon launched its cashier-less Go store. Gabay told TNW the idea started as a smart shopping cart, but the team quickly realized it wasn’t the best solution. It was too expensive, it broke a lot, people steal them, it cost retailers a lot of money. They have to replace batteries and do maintenance. That’s when we got the idea to put cameras overhead. Trigo Vision’s team knew that, in order to make a product that appealed to most retailers, they’d have to come up with a solution that didn’t involve changing the existing infrastructure or requiring retailers to hire computer specialists. For an 1800 square foot it takes a matter of weeks. Not days, yet, but also not months. Retailers get real time data of basically anything you can imagine. From shopping trends to the store’s inventory. But, we are dedicated to privacy, and we’re GDPR compliant. The privacy of our customers, and theirs, is very important to us. Our data is not personalized. The team hopes to have a full-fledged product available for retailers by the end of the year, though at this point they aren’t putting a hard date on when it will officially roll out. To learn more about Trigo Vision check out its website here. If you’re interested in reading more about computer vision and image recognition you can read our guide here. And don’t forget to check out our artificial intelligence section for more stories like this!